Recently I have had the opportunity to go on a sailboat trip. And while sailing is about being prepared for the elements (one needs to pack practically! ), it got me thinking of fashion inspired by boating. And a quick online search confirms the fashion industry's passion for anything nautical! I love learning about fashion history and in my search I came across fabulous ads from the 1930s and 1940s. Look at the dresses and pant suits! I like the combination of white, red, and blue. And the over-sized collars make such a statement. ​Nautical themes are everywhere - in clothes and in accessories. 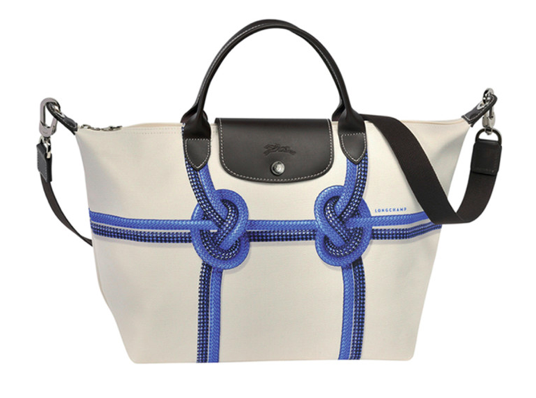 Handbag companies, such as Longchamp (as shown below), often incorporate anchors or line knots into their designs. And bracelets with anchors are ever-so-popular. Did you know that anchor is also the most popular inspiration for tattoos? While fashion history is fascinating, I always look for what contemporary fashion designers are showing on the runways. And it comes as no surprise that they continue to explore and innovate fashion inspired by boating culture. As you can see in examples below, some of the designs are literal and some of them are more about the play of shapes and colors. You can, without having to venture out to shop for nautical fashion, pull together a fun outfit. Do you have a blue t-shirt, red skirt, and a white pair of shoes? There you go! 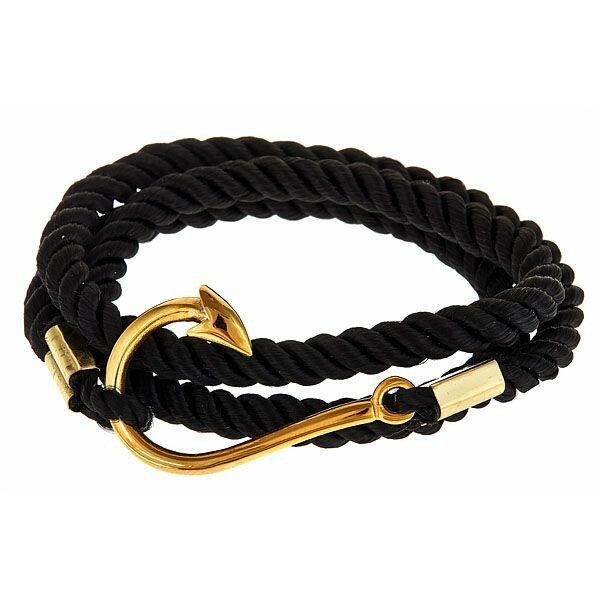 Or, you can combine bracelets you already have and add a nautical touch to your outfit. It is obvious that sailing is a great source of pleasure for those who get to see the world from a ship but also a great source of inspiration for the fashion industry. And I bet it will continue to be so.